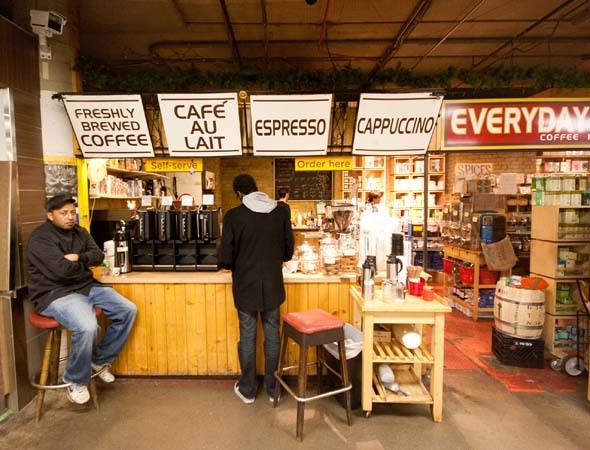 Everyday Gourmet is a coffee shop on the ground floor of the St. Lawrence Market stocked with a bazillion kinds of beans. It's been owned and operated by the same family since 1979, and when I wander in on a weekday afternoon, I'm lucky enough to run into Nick Spector, whose parents run the shop. "I've been here my whole life," he tells me. "I've basically worked here since I could reach the cash." He tells me Everyday Gourmet was down on the ground level before just about anything else. In the beginning, it was just the coffee shop and the neighbouring rice shop next door. The rest of the floor was just used for storage. The shop started out as just a coffee pot on a hot plate. 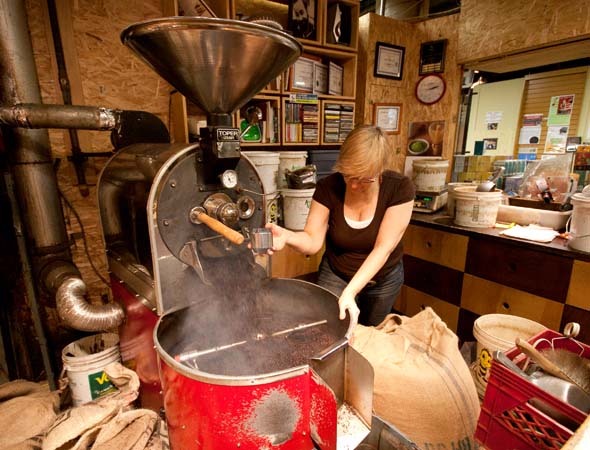 The shop became one of the first roasters in the city to roast their own brand of bean in 1996. Nick's parents, Saralee Spector and Stephen Hindmarsh, bought the business in 1999. 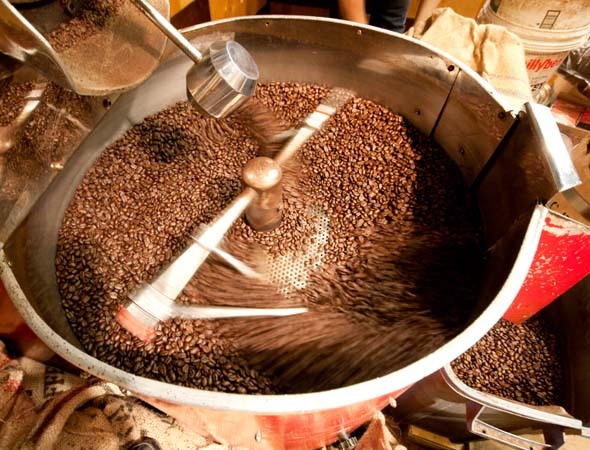 Now, it sells rows and rows of beans, about a quarter of which are fair trade certified. Spector says his favourite bean changes all the time, but one of his current faves is the organic Muskoka Morning, described as a "rich, creamy and full-bodied blend." 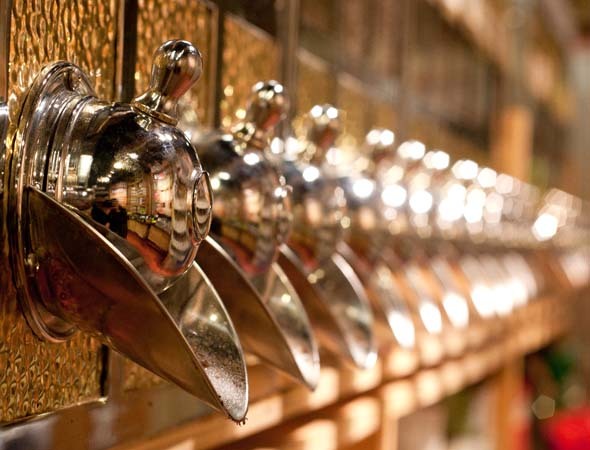 Aside from the beans, though, they also sell an incredible variety of loose leaf teas in drool-worthy flavours like peach apricot and maple cream. 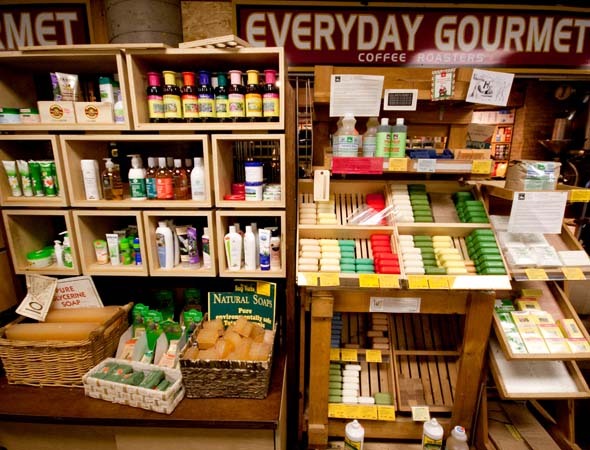 They've also got a hearty selection of healthy-people soaps made from goat's milk, as well as Dr. Bronner's magic soap. Don't expect much in the way of snacks, though. They've got a few different kinds of cookies and biscotti, but the eatables stop there as you would expect since you're literally surrounded by other snack options in the market.